SATURDAY: Brunch with grandma in Chinatown; cooking with Mom(s); "Black Swan"
My weeks aren't always this crazy, but more often than not my calendar complicates my reading habits. BUT I have managed to read two books in two months. So there. 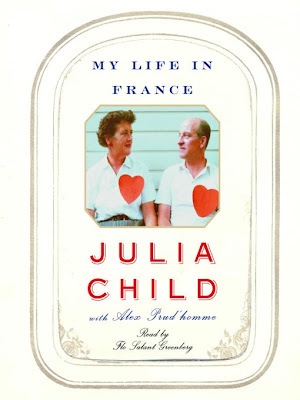 My January book was My Life in France by Julia Child, and I mentioned a few times while I was reading it how absolutely smitten I was by the book as a whole. I felt rather spoiled by this book. The story is broken into three major parts which chronicle the twenty or so odd years that the Childs spent living in France, the period of time when Julia was trying so earnestly to get her book researched, written, and published (not an easy feat in the late 60's/ across continents/ communicating in French and English / all while being an American female chef trying to gain respect and recognition in France! Mon dieu! ), and then the period of time that she was pioneering the new media dimension of the modern cooking show, paving the way for the likes of Paula Deen and Giada de Laurentiis. I mentioned that I felt spoiled by this book, mainly because of the details that were captured and recorded due to the amazing documentation of Paul and Julia's life. Paul always had his camera with him, and a small portion of his enormous collection of photographs were reproduced for the viewing pleasure of the audience. Additionally, Julia and Paul were great writers, keeping diaries, journals, cookbooks - and then there were the letters exchanged domestically and internationally between family, friends, publishers, and fellow gourmandes. It's astonishing to think of how well documented their lives and stories were all through the regular use of pen and paper. I think one of the books that I plan on adding to my ever-expanding list will be As Always, Julia: The Letters of Julia Child and Avis Devoto - a book composed entirely from the letters exchanged between these two long-standing friends who met after years of exchanging letters about knives, publishing, cuisine, cookbooks, husbands, and life. In addition to the photographs and documentation the other major element that had me turning the pages of this book was Julia's voice. I could hear it in every word that I read - literally. She had such a way with describing things, she was so perceptive, inquisitive, hardworking, determined, curious, funny, and above all honest. These pages are dripping with personality and flavor - exactly what you would want from a book about food, and a woman who has a very personal relationship with it. I also had fun learning to cook some of the things she mentioned in her book, having my own copy of Mastering the Art of French Cooking. Her scrambled eggs merely take eggs, patience, and above all, butter to make the most wonderful custardy heavenly scrambled delight, that it's hard to not make these for breakfast, lunch, and dinner. 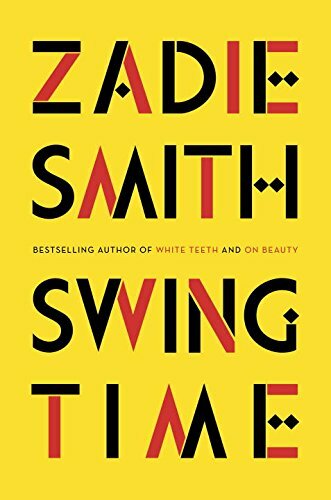 Just writing about this book is making my mouth water. I highly recommend this book to anyone who likes food, France, photography, and life. Enough said, it's time for lunch. Bon appetite! I loved this book. If you ever to go to DC you can visit her kitchen...it's at one of the Smithsonians. I also became a little obsessed with all the episodes of her shows you can stream on the PBS website. i fell in love with her portion of julie and julia (i'd watch it again and ff thru the julie parts)! she is such a charming, inspirational woman. until then i'm on an unintended oatmeals and coffee diet ! sounds awesome. i will definitely be reading. :) i read anthony bourdain's no reservations recently and found that very entertaining. have a lovely weekend!